damit er mich in Ruhe weckt. und trinke ihn auf der Terrasse. ich trinke eine ganze Tasse. ich zieh’ es aus, das Hemd, das nasse! Der Kaffee in der Frühe schmeckt. Ich trinke eine halbe Tasse. I feel the black and hot drink is sublime. And drink a cup of coffee or drink two. I drink the coffee hoping it may do. Onto my shirt and onto my right shoe! Now coffee stained my shirt with black hot grime. 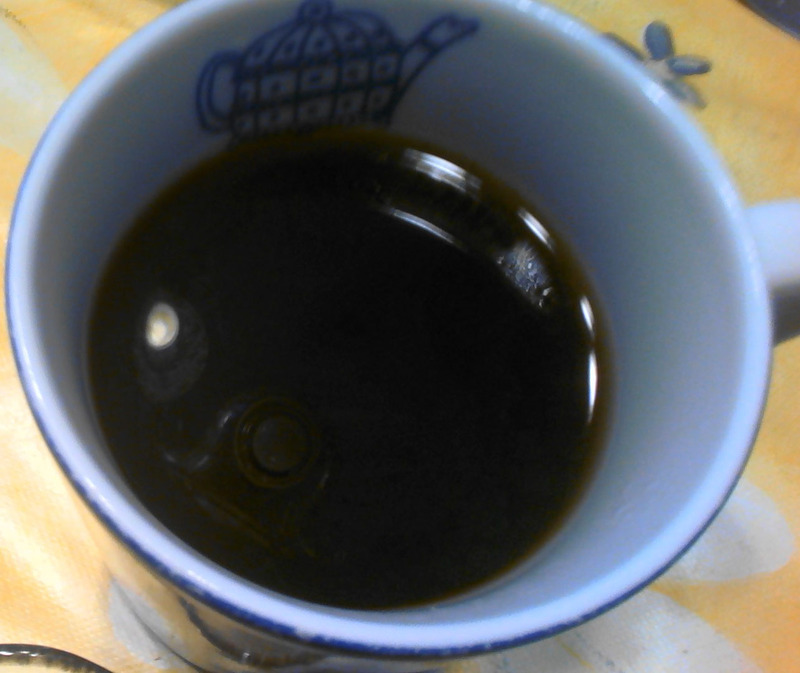 I like the coffee in the morning time. And drank a half cup of the tasting brew.